Get ready for Electronic Arts' holiday update. Earlier this week, we reported the news that EA has plans to release a sizable and free holiday update for The Simpsons: Tapped Out. We can now confirm by way of the Tapped Out Facebook page that the downloadable content will be available tomorrow, December 5. 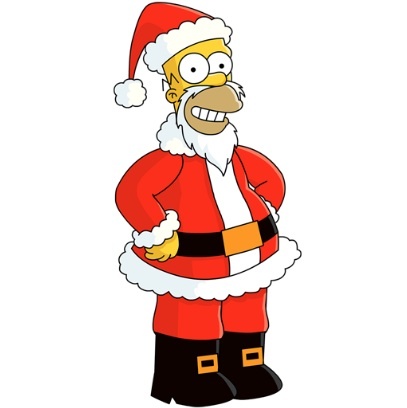 Not only that, but you'll score Homer Simpson in Santa Claus gear, AKA Santa Homer. We're still in the dark on what other juicy pieces of content fans will receive, but it's a safe bet the list of goodies will include iconic locations from Simpsons' holiday episodes and perhaps a visit from Mr. Plow. We'll cross our fingers for that one.